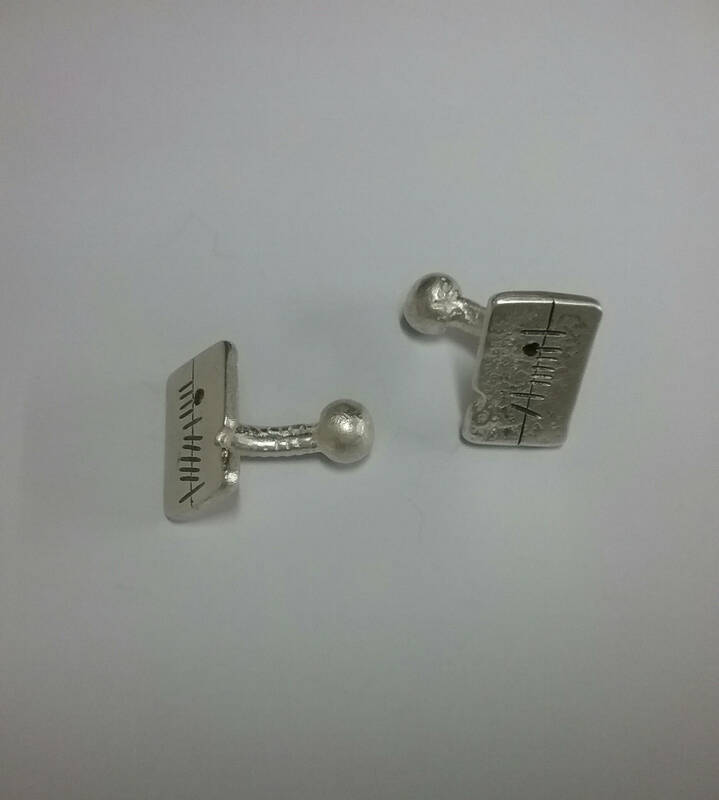 These are the Sterling Silver Anam Cara Cufflinks. Anam is Gaelic for Soul and Cara is Gaelic for Friend. 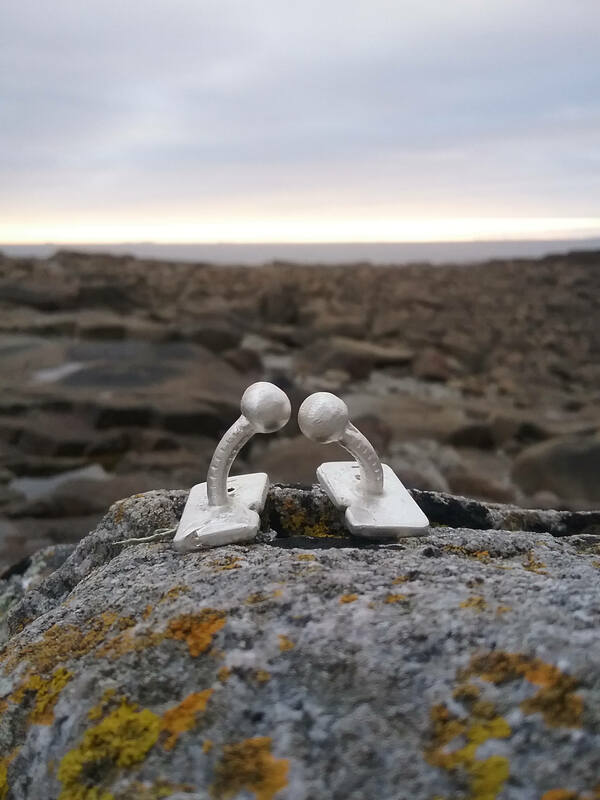 Each pair are cast and then worked by hand so no two are ever the same. When you purchase a piece of jewellery from us you are purchasing a unique piece of work. The concept of Anam Cara comes from our Celtic Spirituality. We are designing other pieces to go with this collection. At the moment we have the Anam Cara Pendant. 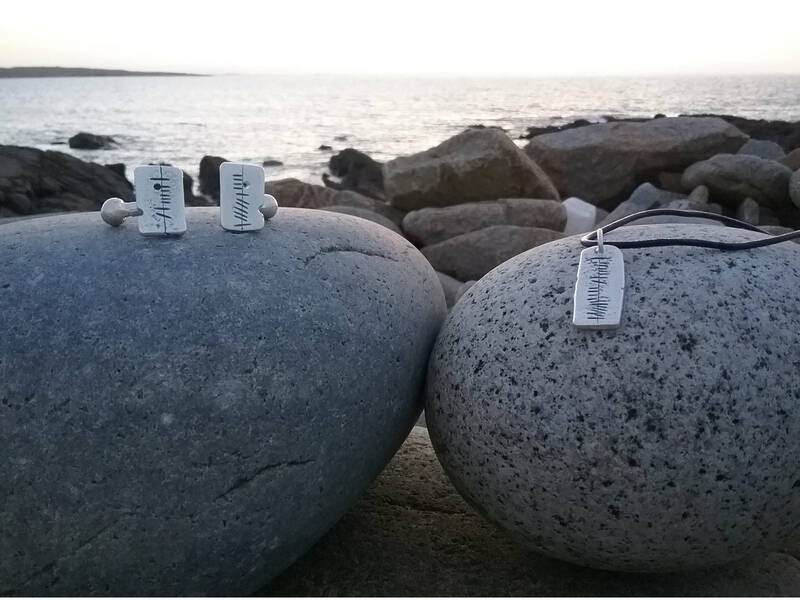 We have also designed and made Anam Tonn which means Soul Wave, it is for all those with a connection to the sea. 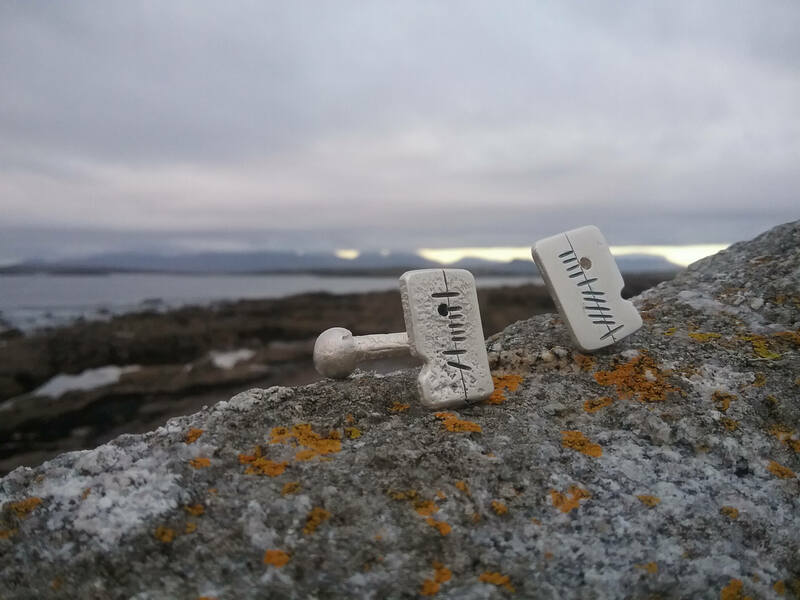 The Celts were very much in tune with nature and the natural world. 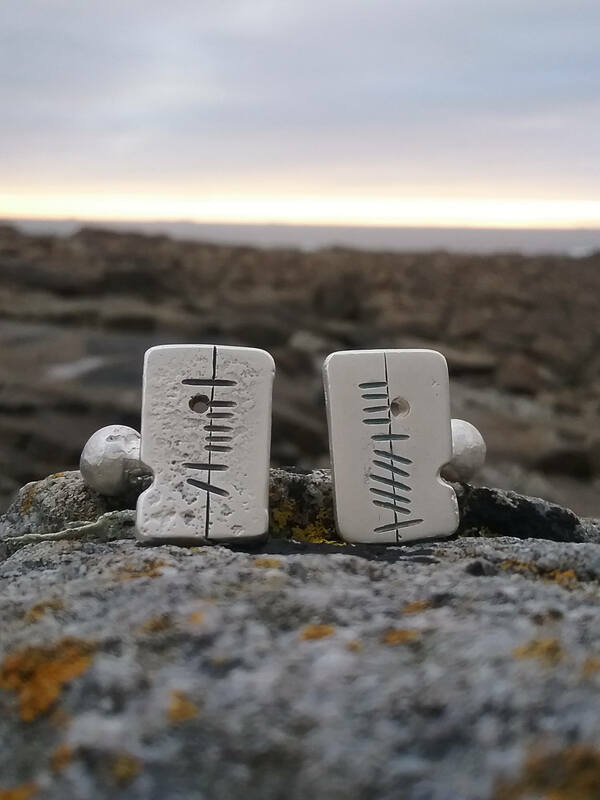 We have written Anam Cara in the ancient Irish method called Ogham. We have oxidized the pendant to allow the writing to stand out, it also gives the piece and ancient ethnic feel to the piece. 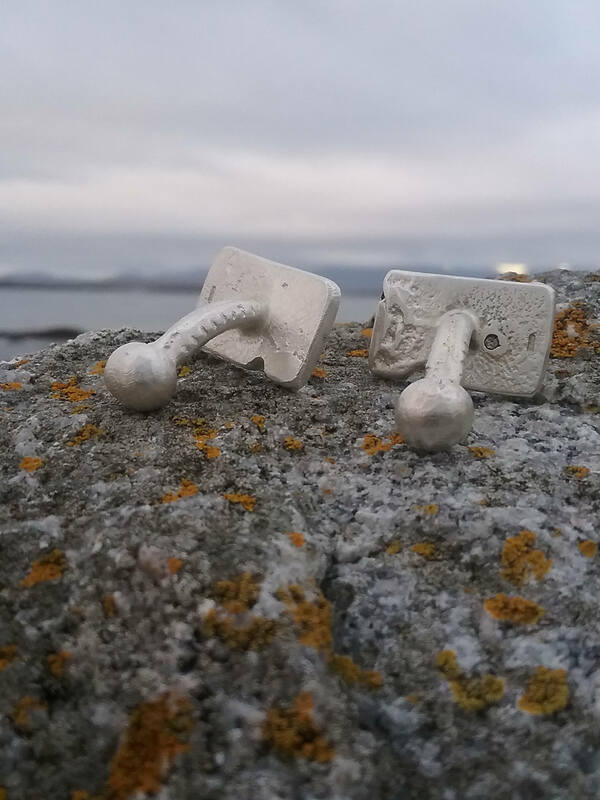 These Cufflinks add the finishing touch to a man that dresses with style whether dressed for the office or cruising in style on his motorbike! They make an ideal Wedding Gift, Christmas Gift, Birthday, Anniversary Gift or I Deserve A Treat Gift! Each piece is packaged in a secure box and posted to you using Registered Mail. If you have any questions about your piece you can message us here and we will get back to you within 24 hours.